It won't be much longer before we'll see the first product available for VEGA20, aka the Radeon VII. While it is still a little unknown if there will be custom AIB products we do know that the AIB will do an AIC, e.g. they will sell the reference products. 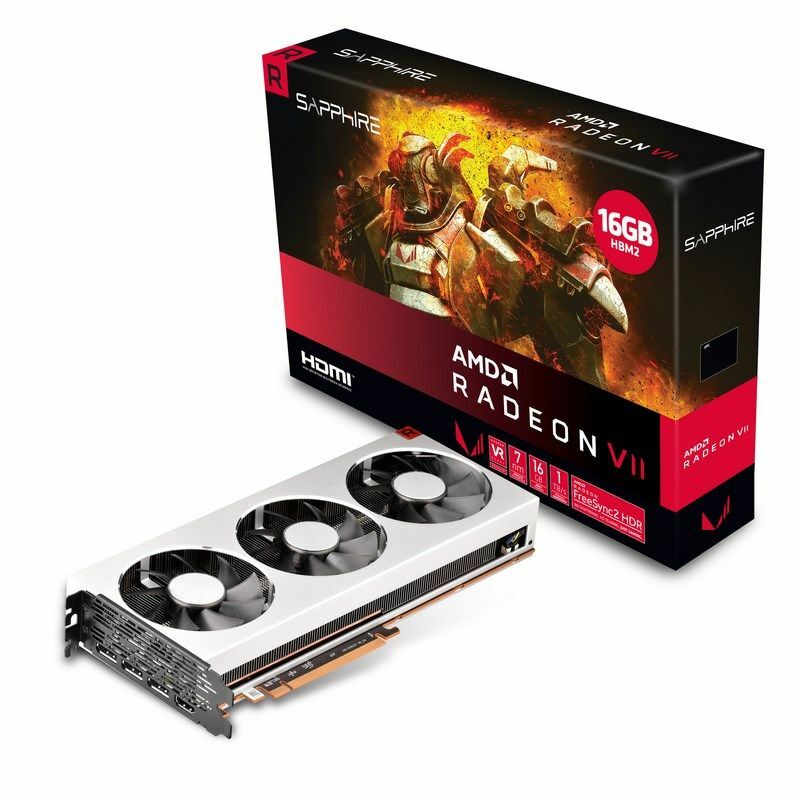 The first photo on that has surfaces, it's ASRock with the Radeon VII PhantoM gaming edition totally based on a reference design aside from a fan sticker, and who knows perhaps some backplate changes as well. Looking at the box we see the confirmed thing like a 7nm process, 16 GB HBM2 memory with a bandwidth of 1 TB per second and that Freesync 2 HDR support. The Vega II or Vega VII logo has now also been confirmed. The new graphics card should be on the shelves by February 7 and is priced at 699 USD.